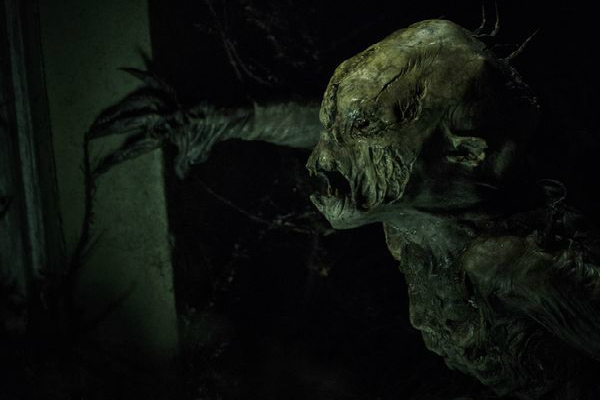 John’s Horror Corner: The Hallow (2015), a creature feature cautionary tale of baby-stealing, slimy Irish fairy folk. One of many posters that do NOT hint at the true nature of this film. Speaking of which, there are some SPOILERS in this review. You will be warned of SPOILERS so you may avoid them. 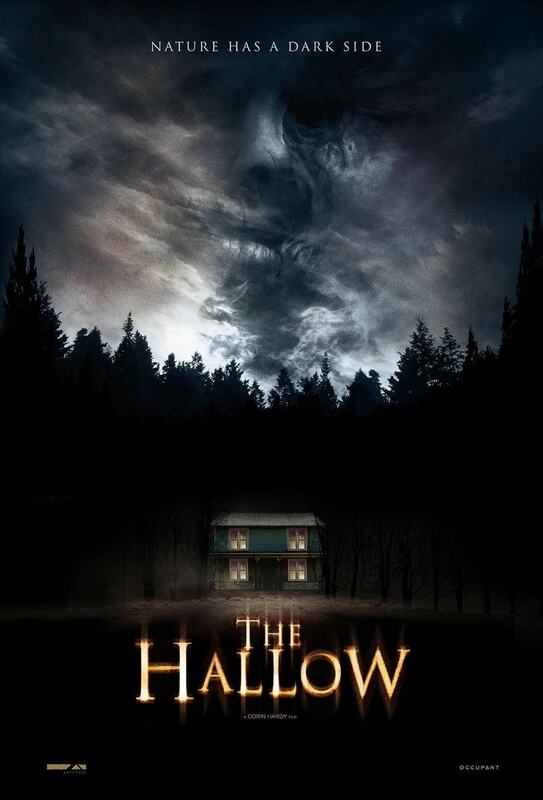 MY CALL: This evil monstrous Irish fairy movie came out of nowhere and really impressed me. It’s not especially original, but it boasts fine execution, quality squishy slimy special effects and smart cautious protagonists…just watch it. 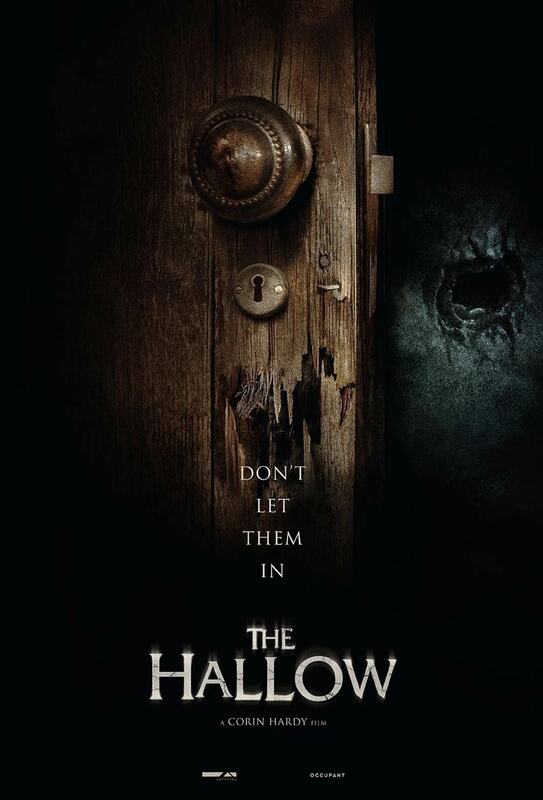 MOVIES LIKE The Hallow: Unfortunately it would spoil this movie to explain what movies are similar. As such, similar movies are referenced in the SPOILER BOX. 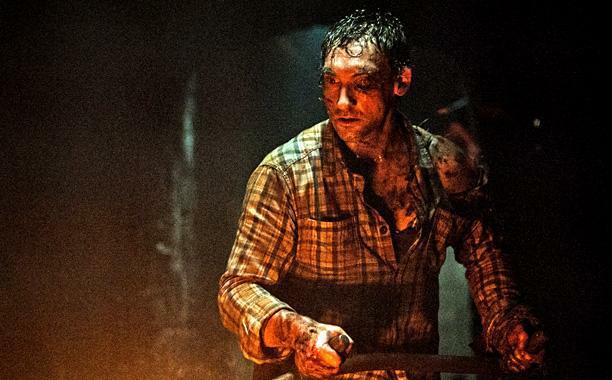 But some other Irish horror movies include Leprechaun Origins (2014; horrible), Leprechaun 2 (1994; decent), Leprechaun (1993; campy but excellent), Grabbers (2012; AMAZING) and Cherry Tree (2015; terrible reviews but great effects). I would like to strongly recommend that you read no reviews on this movie before watching it. 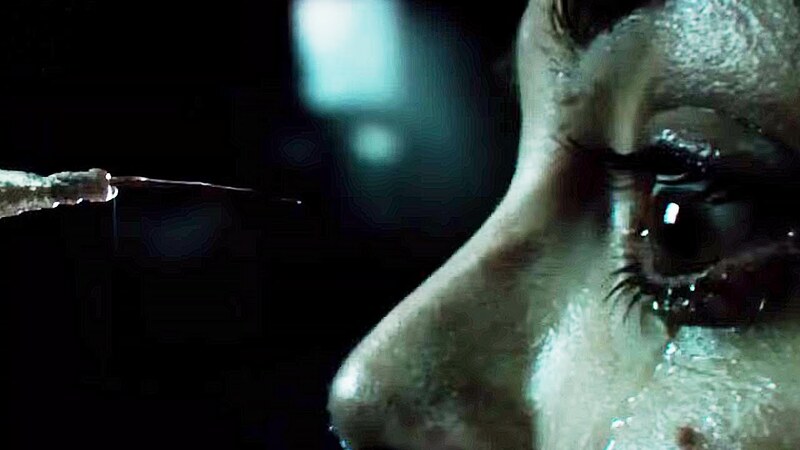 I actually watched this blind (not even seeing the trailer) and I was quite pleasantly surprised. However, if you haven’t seen it and choose to read this review anyway, I’ll warn you by saying SPOILERS when you shouldn’t read any further. It’s only one paragraph and it will be in a blue-shaded block quote. Opening with a serene walk in the mossy woods we meet the local “tree doctor” Adam (Joseph Mawle; Abraham Lincoln: Vampire Hunter), who collects some strange samples of what is perhaps a slime mold of sorts on a dead animal–if you’re not a biologist, just know that’s really weird. Not halfway through examining the sample in his office slash makeshift laboratory his wife Clare (Bojana Novakovic; Devil, Drag Me to Hell) finds more of the goo leaking from their ceiling in their infant’s nursery. Yuck. From the start I really like this atmosphere painted around our protagonists. It’s dark but naturally serene and isolated with good justification. Adam and Clare strike us as inquisitive and cautious. But, as the horror genre would have it, no one is ever really cautious enough when it comes to dealing with the supernatural. Just perhaps enough to make it interesting as the story persists and we wonder whose suspicions are more accurate: Adam’s, Clare’s or the townsfolk’s. 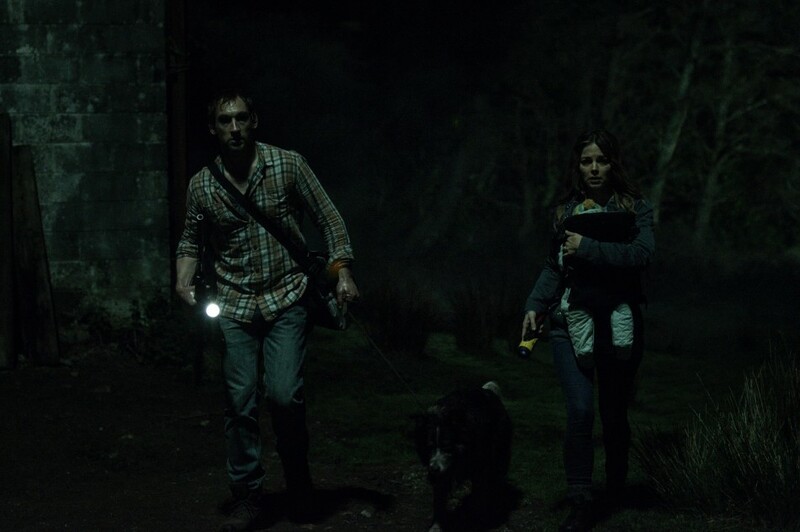 The superstitious locals don’t like Adam’s work-related investigations in the woods. They would warn that those woods belong the “the hallow”–the baby-stealing fairies and banshees and fey creatures of myth and folklore. 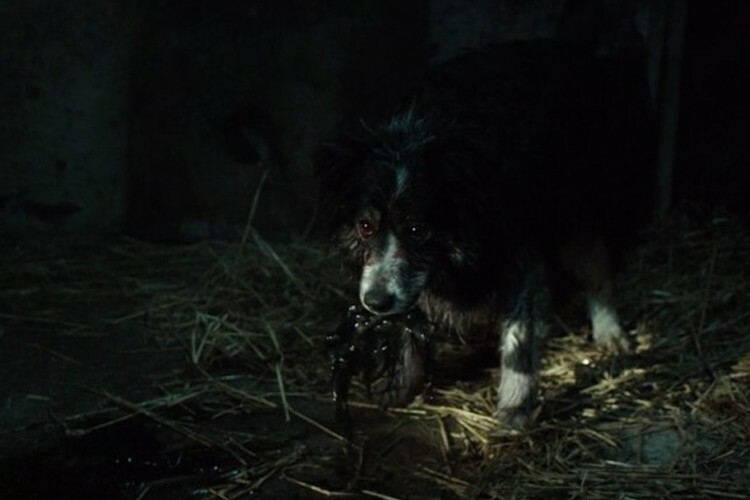 The local police (Michael Smiley; The World’s End, The ABCs of Death) offer soft warnings of these legends, but their neighbor (Michael McElhatton; Game of Thrones) who lost his daughter to the woods is more heavy-handed, offering an ancient book of fairy lore depicting changelings. I applaud director Corin Hardy’s first feature length film endeavor. It takes us from mysterious, to superstitious, to “pack your bags and let’s get outta’ here” without a slow moment. We find a gradual introduction to the fey creatures accompanied by sounds of stirring about, followed by stronger evidence like monstrous scratch marks and ultimately…attack by monsters in plain sight. The creature effects are pretty good and very abundant–we see a lot of them. These fairy plant zombies look and move in creeptastic ways nuanced with twitches. Skip the next paragraph to avoid spoilers. This film came out of nowhere and really impressed me. It’s not especially original, but it boasts fine execution, quality squishy slimy creature effects, smart cautious protagonists…just watch it. 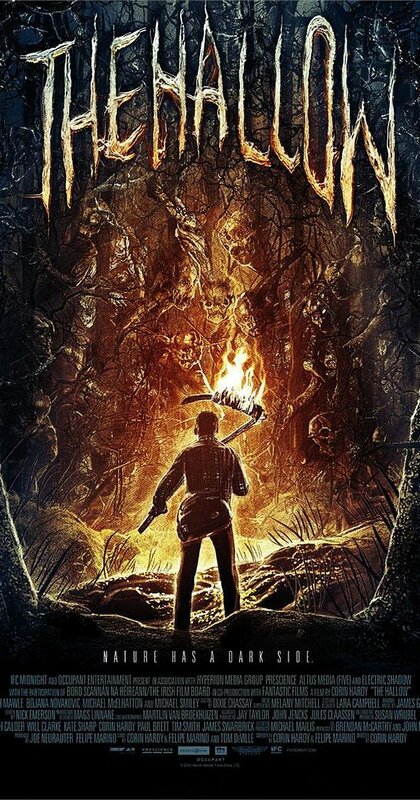 ← John’s Horror Corner: Pumpkinhead (1988), an excellent case study in over-played tropes executed perfectly. I have this in queue. Will swing back around and read your review after I’ve seen it. Thanks! Mark suggested this to me. And Mark is like 8/10 for suggesting things that really impress me that I would have otherwise maybe skipped altogether.